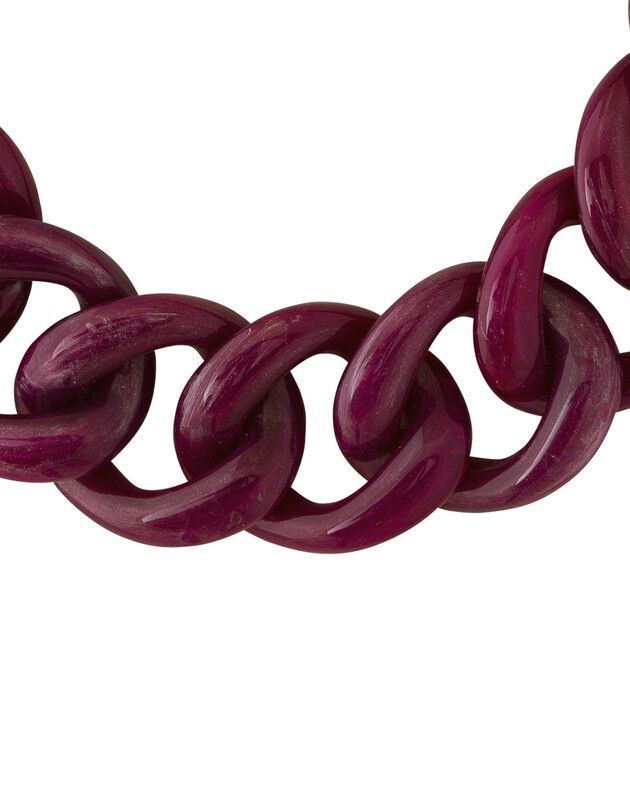 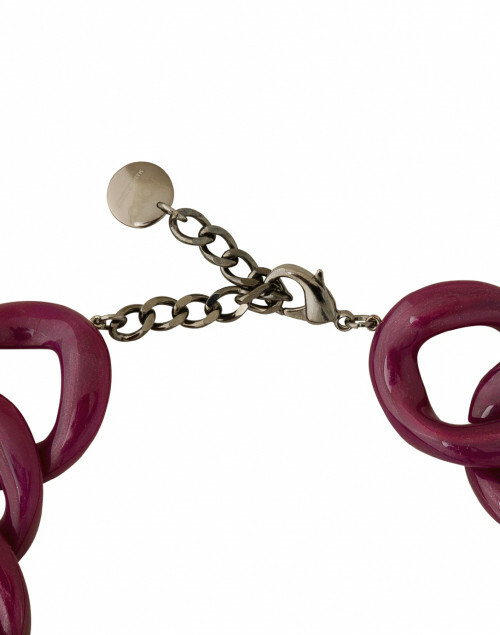 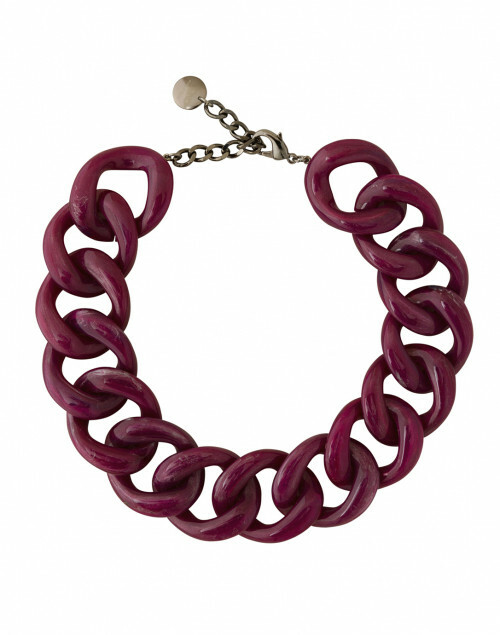 Pono by Joan Goodman's Ana boysenberry necklace is a timeless accessory. 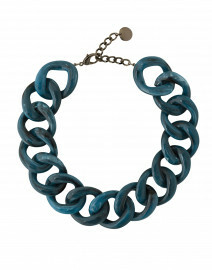 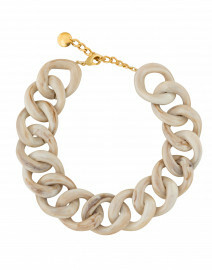 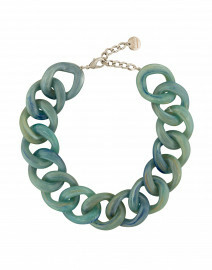 Label's signature Italian resin chain link choker rendered in a marble-like swirl of tones to create a unique statement that combines the versatility and lightness of resin with the intricacy of natural stone. 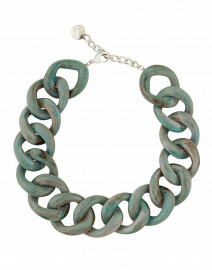 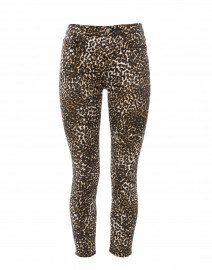 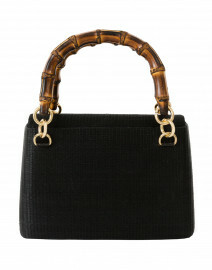 Pair it with casual separates for a chic daytime look.